The Board of Direction continues to take a big-picture approach to leadership. Last year, that meant developing a new strategic plan for ASCE. At its quarterly meeting in Arlington, VA, March 10, the Board moved from strategy into implementation, highlighted by the approval of a future-focused reorganization of the Society’s Committee on Advancing the Profession. “I’m very excited, because in essence what happened with CAP was taking a step back to look forward,” said ASCE President Robin Kemper, P.E., LEED AP, F.SEI, F.ASCE. Members of CAP worked for a year to prepare a reorganization plan that better aligns its activities and objectives with ASCE’s new strategic plan. Among the restructuring, the Board approved creating MOSAIC, an advisory council focused on issues of diversity and inclusion. Members Of Society Advancing Inclusion Council – replaces the previous Committee on Diversity and Inclusion. 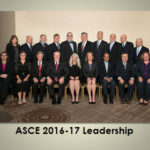 “The whole conversation about diversity and inclusion needs to be in everything we do,” said Marsha D. Anderson Bomar, AICP, F.ASCE, technical region director on the Board. The Board received an update on the Sustainable Infrastructure Certification Program from Cris Liban and Liv Hasselbach, who talked about the potential development of a new Academy for Leadership in Sustainable Infrastructure Engineering. 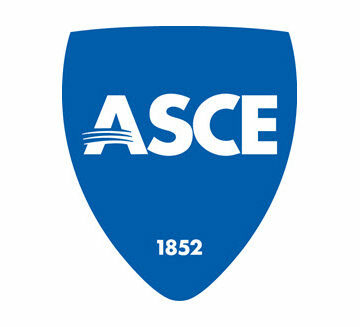 The presentation generated discussion among Board members, as they continue to determine how best to maximize such a program within the strategic plan and ASCE’s bigger picture. Does a sustainability certification provide vital validation for civil engineers as they move through their careers? Should sustainability expertise be more of an assumed aspect of professional licensure or ASCE’s existing certification programs or membership requirements? The Board approved continued exploration of these questions, with plans to further discuss the program at the July meeting.